Cost: $100 per person advance ticket price available until April 19th, 2019. $125 per person after April 19th, or at door. Interested in CANHR's silent and live auction items? Visit our online catalogue. 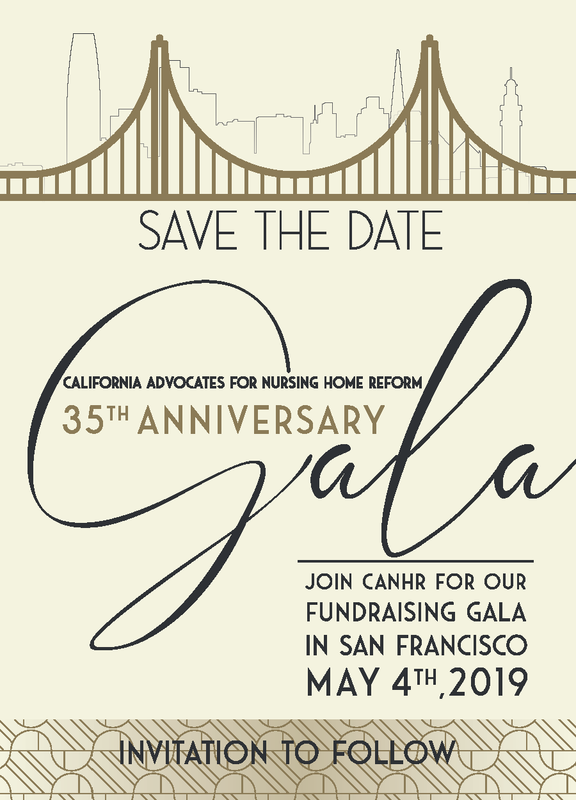 CANHR sincerely appreciates your interest in sponsoring this important event, an opportunity to celebrate CANHR’s progress and victories, and to serve as a call to action for the future of long term care. If you are interested in participating in the Gala as a sponsor, please visit our online registration page, or download a Sponsor Packet. For questions about sponsorship or donation of items for auction, please contact Pauline Mosher, Deputy Director, at 415-974-5171 or Pauline@canhr.org.